Seriously looking forward to this one. This is a fantastically TRUE historical story about an Emperor who loved only one woman. Interesting fact, there is only one emperor in history that had only one wife (it’s not this one) but this story is pretty fantastic. 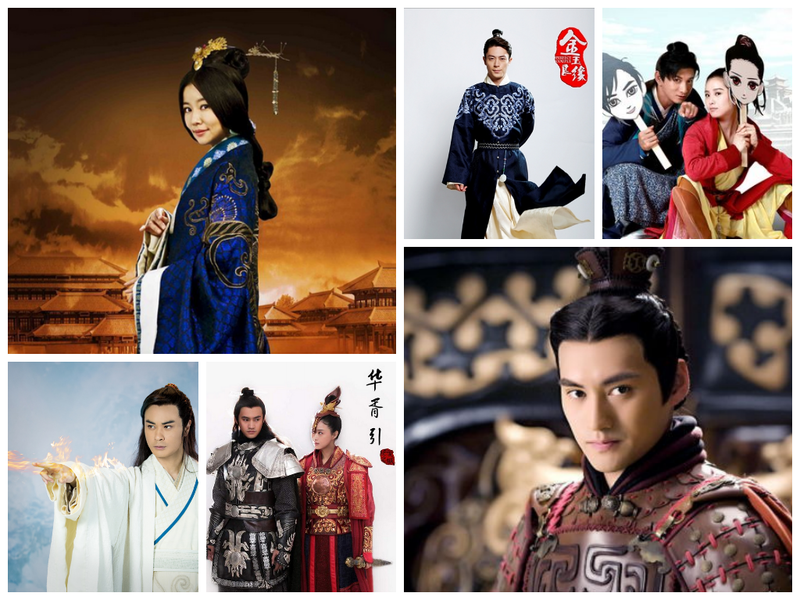 Strong female character played by Ruby Lin and Yuan Hong as the Emperor who loves her. Yup. Definitely watching this one. For more information and backstory go to Miss Koala’s post. Wallace Huo, the elegant master in almost all of his drama, is actually a very talented comedic actor. Long ago I watched a drama where he had to play a comedic character and i loved him a lot better as a comedian. He gets me every time with his delivery and his hilarious facial expressions. This drama will also have Tang Yan, who follows a long line of sweet actresses acting out feisty parts. Story should be about poor girl marries clueless but adorable rich guy and they learn about each other along the way. I want to see this and be impressed. If not, at least I can watch and fall in love with the adorkable Wallace Huo. Watch this to see what I mean about Wallace. For the trailer, it looks like they spent a great deal of money and the costumes (for the most part) looks pretty. Also, Yuan Hong is in this one, and I have a soft spot for this boy. I checked the wiki page for this one, not really sure how accurate the synopsis is but will probably check it out for kicks. Looks like court intrigue mixed with fairy tales. 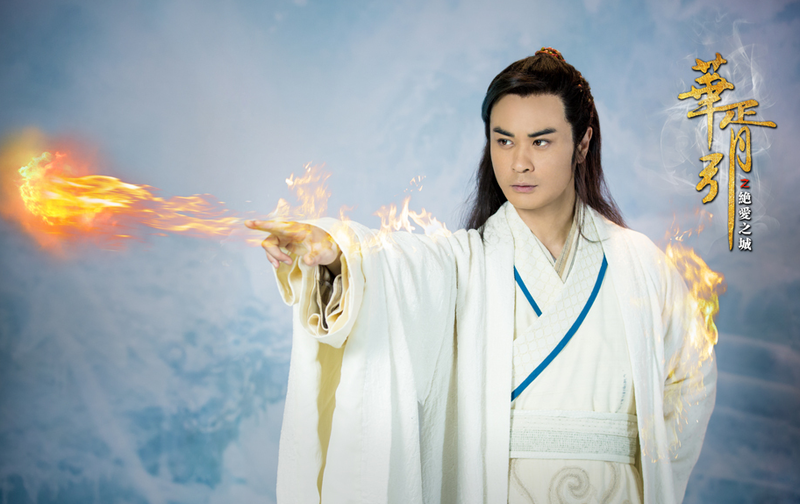 Kevin Cheng and Yuan Hong are basically why I will watch this. My BBJX boys are back together! Here’s an english teaser trailer. I watched it, and while it’s intriguing, I should also not be sleep deprived while watching this. So it made very little sense as to what’s going on in it. I want to see real life couple and on screen hotshots Nicky Wu and Liu Shi Shi in a light hearted comedy, sparks flying, doing what they do best, make love to each other with their eyes in an ancient Chinese drama. I need some light hearted fare in the midst of heavy dramas that I might want to watch. Also fellow BBJX alum and 10th prince Ye Zu Xin plus Gui Gu (吴映洁) of Lu Zhen fame are in this, they are beyond cute and talented. Below is a behind the scenes of Nicky/ShiShi cuteness. I am most excited about Chang Ge Xing because the stills looks really good (and pretty) and also we have Ruby Lin + Yuan Hong. Sigh, when is it coming out anyway? Show needs to be out pronto. 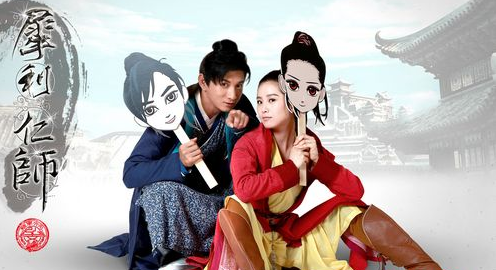 Another one I want to watch is Virtuous Queen of Han! There are so many c-dramas coming up, I can’t wait for them to start airing! I’m also gonna check out Detectives and Doctors for Lan Xi even though I’m not expecting much from it. (stars Raymond Lam too) Oooo and I wanna watch Zhou Xun’s drama Red Sorghum! Yeah, I usually can’t stand dubbing. Chinese dramas are annoying to watch sometimes because their dubbers sound so fake. I’m anxiously awaiting for Lady and the Liar starring Hawick Lau, Tiffany Tang and Tony Yang! The stills look really good and enticing! O… can’t wait to watch Chang Ge Xing (秀丽江山之长歌行 Xiu Li Jiang Shan Zhi Chang Ge Xing) aka Ballad of the Long March..
Will definitely watch it in one sitting!!! When is it airing on utube?